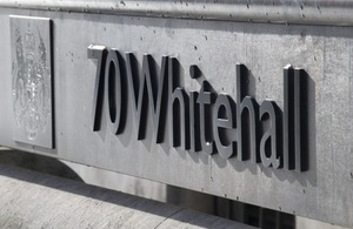 Cabinet Office minister Oliver Dowden announced moves to exclude suppliers from major government procurements if they cannot demonstrate fair and effective payment practices with their subcontractors. The issue of main contractors withholding money from subcontractors came into focus earlier this year following the collapse of Carillion. Suppliers will also have to advertise subcontracting opportunities via the Contracts Finder website, and provide the government with data showing how businesses in their supply chain, including small businesses, are benefiting from supplying to central government. Mr Dowden said: ‘This Government is listening to the business community and is committed to levelling the playing field for smaller suppliers to win work in the public sector. ‘We have set a challenging aspiration that 33% of procurement spend should be with small businesses by 2022 - and are doing more than ever to break down barriers for smaller firms. In 2015/16, government spent £5.6bn directly with small businesses but when sub-contracts to small businesses from larger are taken into account, total spend rises to £12.2bn.